After the birth of my first child, I was always concerned about whether he was warm enough at night. It’s not like he could sit up and tell me that he was chilly, so I had to use the few clues available (the temperature of his skin, mostly) to make a determination. We know that it’s not safe to use blankets and bedding in a newborn’s crib because they increase the chance of our children succumbing to SIDS. So we have to take some other precautions to make sure our children are nice and warm. A baby is most comfortable in room maintained at about 70 to 72 degrees Fahrenheit (in fact, most people would agree that’s the ideal temperature). If you don’t have a thermostat for your baby’s sleeping room, measure it with a standard thermometer. If you use a space heater in the room, make sure it’s fireproof and positioned at least four feet away from the crib. You don’t want the crib right against the heater, nor do you want it next to a window. The temperature will spike in either of these places. Place it near the center of the room where the temperature is normalized. Also, keep it out of the direct path of vents of fans. Babies are comfortable wearing the same amount of clothing we do, plus one layer. So if you’re sleeping in a T-shirt and pajama bottoms, your baby should wear the same plus a onesie. Zippyz are great because the feet are covered to keep warm air inside, and the lower half unzip easily for diaper changes so you don’t expose your whole baby. Check them out. If your little one is still tiny, you’ll want to swaddle them with a blanket so they keep all of their body heat. A swaddle also helps them resist the startle reflex so they don’t wake themselves up, and makes them feel safe and secure. Overheating is a serious concern as well. 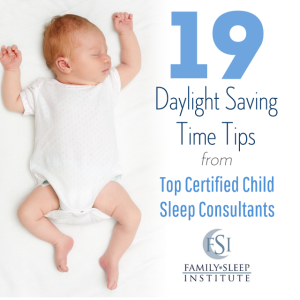 It’s one of the contributing factors linked to SIDS. You can tell your baby is too hot if her skin is blotchy and red. If she’s damp and sweating, she is definitely too hot. Even if it’s winter time, make sure your baby never overheats.